Born in Chester County, Pennsylvania, David Jackson was the son of Samuel Jackson and the brother of Paul Jackson, Latin and Greek professor and clerk of the trustees of the Academy and College of Philadelphia. 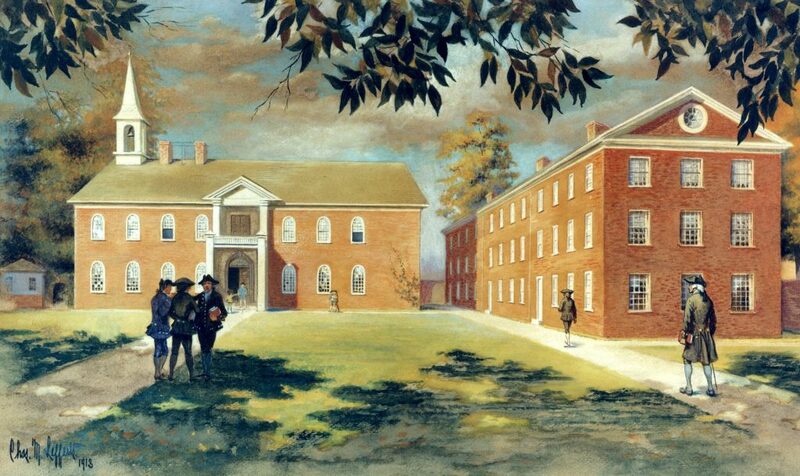 After his early education in Chester County, David Jackson became a member of Penn’s first medical school class, earning his medical degree in 1768. He practiced medicine in Chester County and then in Philadelphia, being forced to flee that city by the arrival of the British. David Jackson was appointed to manage the lottery for defraying the costs of the Revolutionary War for the Continental Congress, but he resigned to become an army surgeon. He stayed with the army through the war, holding a variety of ranks and appointments. Reportedly he was at Yorktown when Cornwallis surrendered to Washington. When the war ended, Jackson returned to Philadelphia to open a pharmacy. From 1779 until 1781, he served as an attending physician at Blockley Hospital. He was a Pennsylvania delegate to the Continental Congress in 1785 and 1786. He also became a member of Philadelphia’s first Democratic Society, the American Philosophical Society, and other cultural institutions. He was elected a trustee of the University of the State of Pennsylvania in 1789, and continued as a trustee of the University of Pennsylvania after it was created by the 1791 union of the College of Philadelphia with the University of the State of Pennsylvania. David Jackson was married first to Jane Mather Jackson, the widow of his brother Paul Jackson. With his second wife Susan, daughter of Jacob Kemper, he had nine children. After he died, his son and namesake David Jackson, A.B. 1794, continued to operate the apothecary. This younger David Jackson married Rebecca, the daughter of Dr. Gerardus Clarkson. Another son, Samuel Jackson, earned an M.D. from the University of Pennsylvania in 1808 and served on Penn’s medical faculty as professor of the institutes of medicine from 1835 to 1863.